On January 20, thousands of women’s rights supporters gathered around the world to support human rights and female equality. 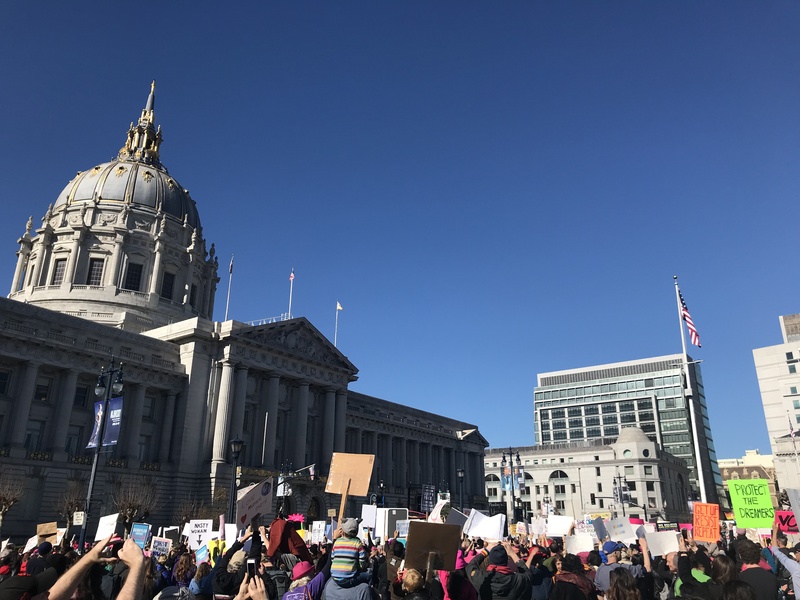 Marches in Oakland and San Francisco drew large crowds and were attended by a few Bay Farm Middle School students as well. 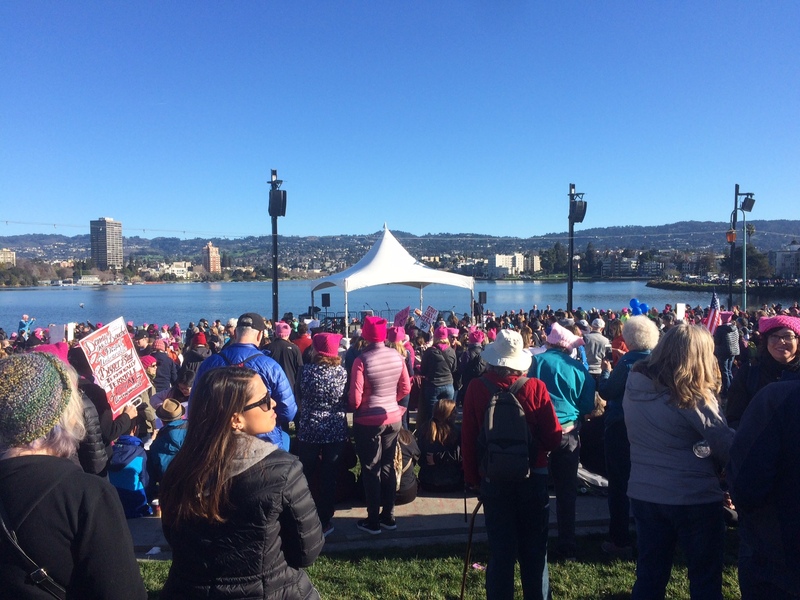 6th graders Piper Dooley and Rose Dennery attended the Women’s March in Oakland, which they also participated in last year. Piper really enjoyed the marches, and plans to go to next year’s march and the ones that follow, though she hopes that, “We won’t need another march.” She went with her family and a few of her friends to support equal pay and to stand up against sexual harassment. She thinks that women should be treated better in general. Rose carried a black and orange sign that said, “I AM THE FUTURE!”. Her primary concern is equal pay for women. “There were a TON of people!” Rose said. 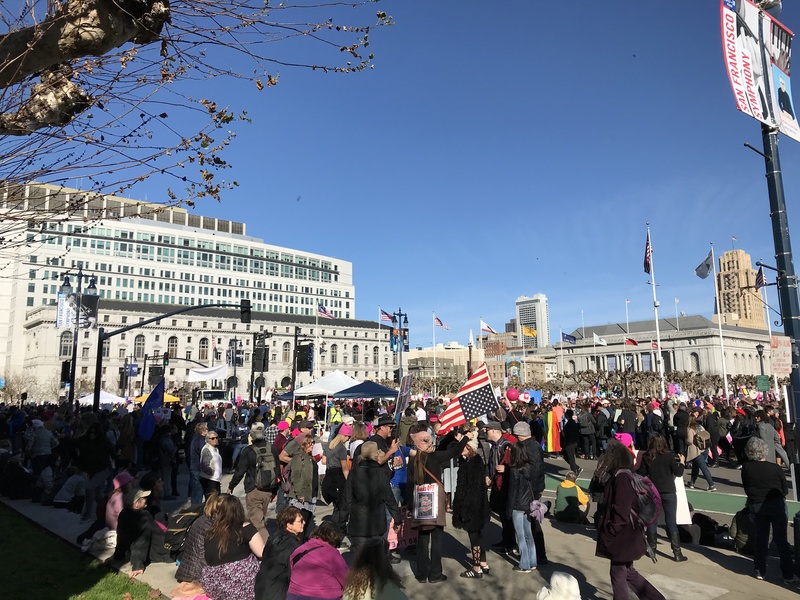 About 50,000-60,000 people attended the San Francisco Women’s March, including this reporter. 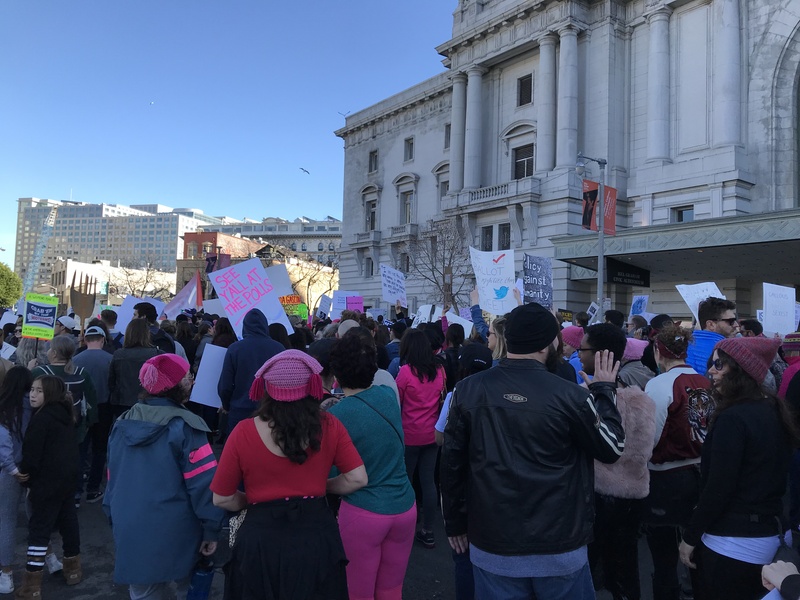 The rally took place at Civic Center, then the march traveled down Market Street toward the Embarcadero. 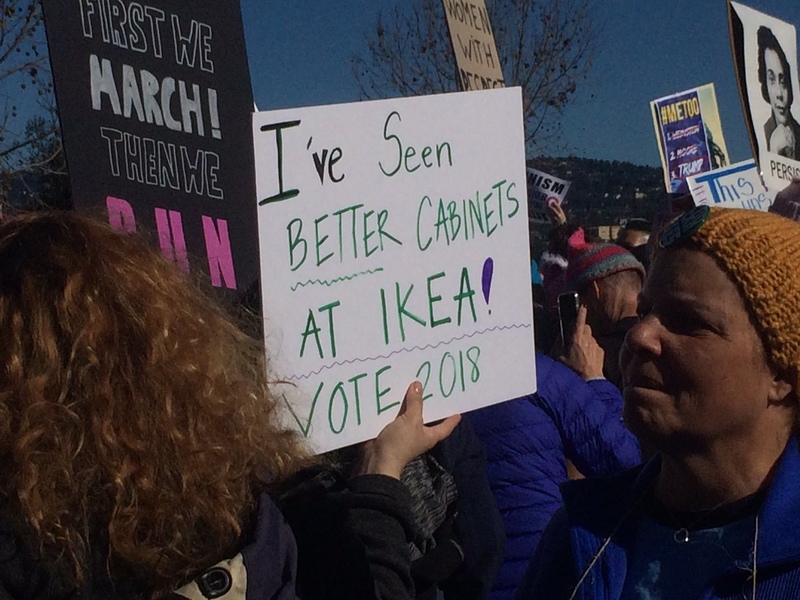 At this rally, many people spoke to encourage women to take a stand. The people there were inspired by the words shared by so many brilliant activists, including local politicians, national committee leaders, and celebrities of every race and gender…many who hope, just as Piper does, that no more marches will be necessary in the future.